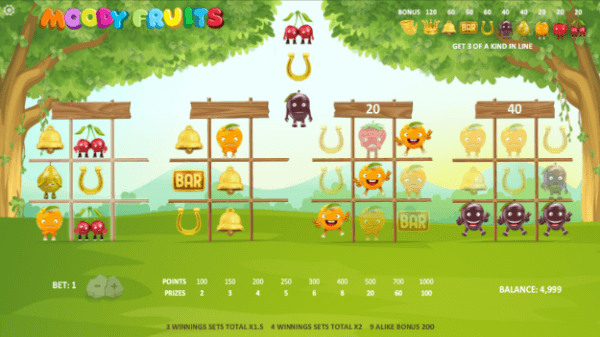 Moody Fruits Slot | One of a Kind Slot Machine with 99.91% RTP!!! Relax Gaming brings us a title that forgoes conventions in favour of something a little bit different. 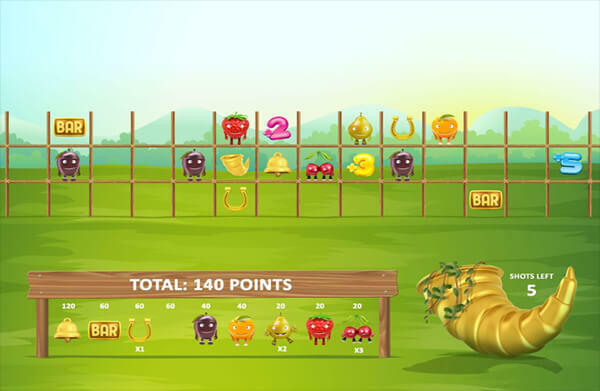 With a tree-filled garden as a backdrop, you’ll be juggling plenty of fruit in this video slot, with the possibility of taking home a very sweet and healthy jackpot. The RTP here is crazy – 99.91% – highest payout slot online. The visuals are cute looking, if a bit shrunk down, thanks to the fact you have to spread them all across not one, but four different 3×3 reels in which you place a block of 3×1 symbols that are generated randomly. Each time one of those four playing fields produces a win, it will award a certain number of points, which you can see in the upper right corner. Collect enough points and you are rewarded with a cash prize. Collect the right symbol and you even get access to a small, but cool bonus feature. Moody Fruits is a medium variance title which should suite most players. RTP of 99.91%, you’d be hard pressed to find a title that has a higher theoretical chance to return your cash by the end of a play session. It’s actually the loosest slot machine in the world today. What this Relax Gaming release offers is unlike any other title we’ve played before. Instead of spinning yourself, you’re the one placing blocks of symbols on the reels in order to complete a win. If you’ve gotten bored of regular video slots and are hoping for something different, the innovation on it is pretty good, and that alone may be worth trying it out for. The visuals are also quite nice. If you like cutesy fruit, you’ll probably like this game, and the way the symbols twist in disapproval as you sacrifice one reel to hopefully complete a win in another is a nice touch by the developer. The title’s medium volatility strikes a nice balance between solid wins and keeping wins from being interesting. The non-traditional reel setup may not be your thing, especially if you were hoping for something more down to earth. Every experimental title, (some Thunderkick slots such as Fruit Warp are a good example), risks alienating the people who aren’t really looking for any changes. It’s fair to say that some players may fall into this category. The graphics can sometimes be too small to properly display on a mobile device. Not to mention there will be players who don’t particularly care for the cutesy aspect of the visuals. 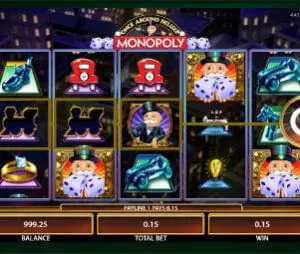 The slot has only one special feature to talk about, but it has awesome winning potential with a dash of luck. If you collect three bonus symbols on one of the four playing fields, you get access to a special feature in which you fire giant cannon onto a massive, singular reel. Like here, connecting three symbols is still paramount, but apart from the fifteen free turns you get, you also have a chance to activate additional spins while the bonus lasts. It was certainly different enough to catch our attention and draw us to play a fair bit of it. Moody Fruits has the possibility of thrilling your socks off if the stars align, but if you’re hoping for something more traditional, you’ll have to look elsewhere.